Alertus produces a variety of marketing resources for Alertus Partners to become familiar with and effectively sell Alertus Solutions. Alertus Partners are entitled to add their contact details on specially designated material. For full guidelines and resources, find your Partner Channel Sales and Marketing kit on our brand guidelines page. Alertus offers partners the possibility to co-market or promote their relationship to Alertus products and services on Alertus copyrighted material as detailed below. 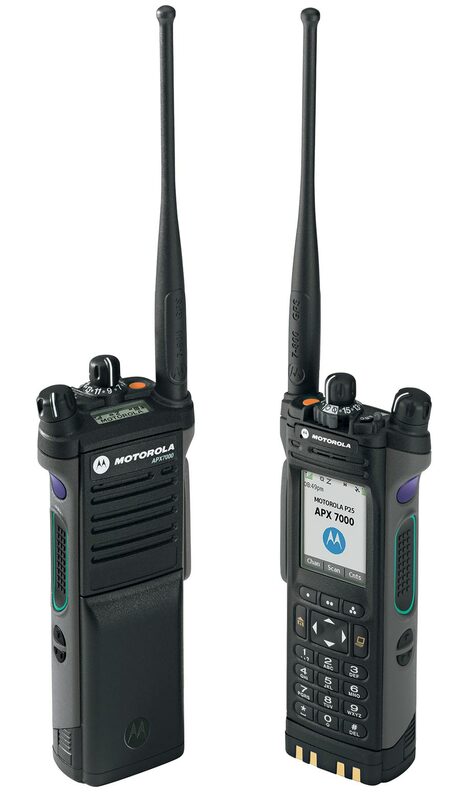 Alertus produces a variety of marketing collateral. Alertus partners are entitled to add their contact details in the special designated “DISTRIBUTED BY” area on the upper right hand corner of the data sheet. This area can feature the partner’s company logotype and contact details in the form of a stamp, an added label, or printed directly on the material. Below are downloadable images from our Alertus solutions for your use. The photography shall not be altered or manipulated with the exception of size changes to fit the media where it is to be used. Need to request a specific image? Fill out our image request form and we will respond within three business days. Watch as the Alertus Solution instantly activates multiple alerting endpoints in mere seconds. The demonstration features an evacuation alert followed by an all-clear notification. 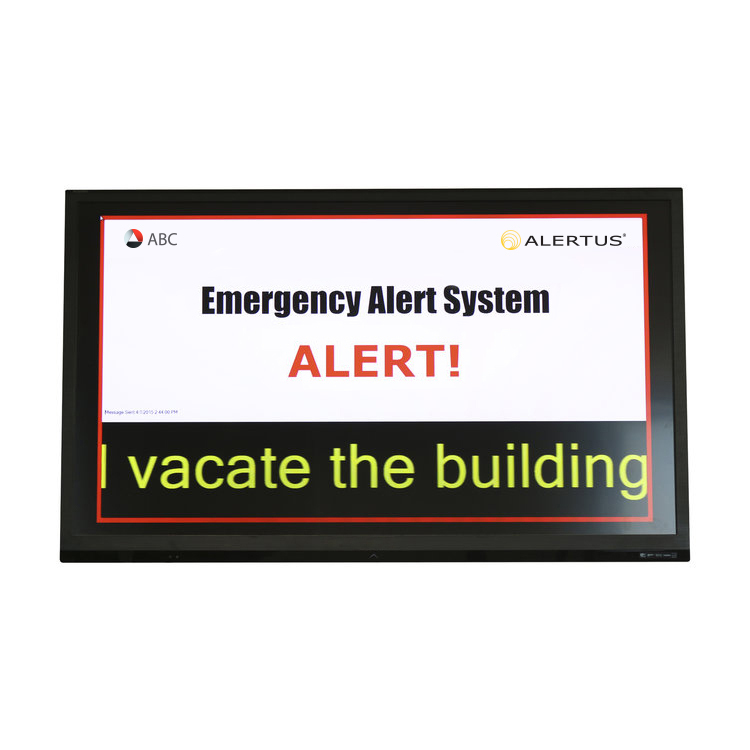 Alert Beacons® are designed to serve campuses, military bases, and other large facilities that presently lack an in-building emergency notification system and where retrofitting a conventional voice public address system is impractical and cost prohibitive. Alert Beacons are most effective when wall-mounted in prominent locations throughout the facility. 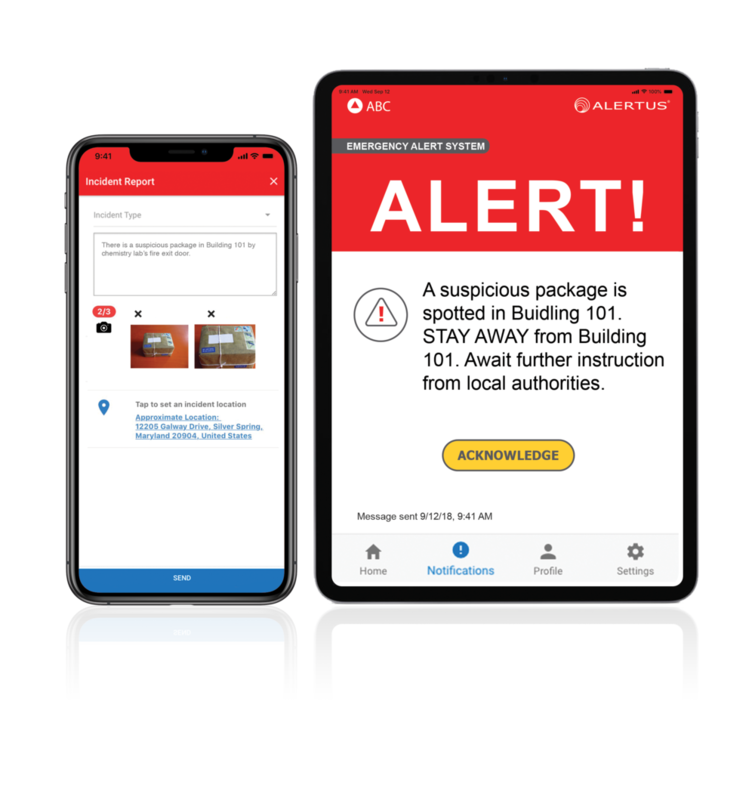 In the event of an emergency, these devices flash and sound to capture the attention of building occupants at a distance and display a custom message about the nature of the emergency and how to respond.